In this paper, oblique impact of ogive nose projectile on 5083-H116 aluminum alloy plates was numerically investigated. Three parameters such as impact velocity, impact angle and target configuration were varied to observe their influence on the ballistic resistance of targets. Based on the results, the oblique angle of impact acts an important role on the deformation mode of targets. The penetration of projectile dominates targets under low oblique angle impacts and the deformation changes from embedment to ricochet as oblique angle increases. Beside the oblique angle, the ballistic resistance of target is heavily dependent on impact velocity. Targets are perforated as impact velocity increases even if oblique angle becomes larger. Target configuration is another factor on the protective performance which is increased using thicker plates. The ballistic response of monolithic and double layer targets for the same thickness is very close each other. Laible R. C., “Ballistic materials and penetration mechanics”, Elsevier, New York, USA, (1980). Elaldi F., Baykan B., and Akto C., “Experimental Analysis for the Effect of Impactor Geometry on Carbon Reinforced Composite Materials”, Polymers & Polymer Composites, 25(9): 677–682, (2017). Iqbal M. A., Senthil K., Madhu V., and Gupta N. K., “Oblique impact on single, layered and spaced mild steel targets by 7.62 AP projectiles”, Int. J. Impact Eng., 110: 26–38, (2017). Singh H., Hazarika B. C., and Dey S., “Low Velocity Impact Responses of Functionally Graded Plates”, Procedia Eng., 173: 264–270, (2017). Nishida A., Ohta Y., Tsubota H., and Li Y., “A Study for Evaluating Local Damage to Reinforced Concrete Panels Subjected to Oblique Impact of Deformable Projectile”, ASME Pressure Vessels and Piping Conference, Hawaii, USA, 1–10, (2017). Forrestal M. J. and Warren T. L., “Perforation equations for conical and ogival nose rigid projectiles into aluminum target plates”, Int. J. Impact Eng., 36(2): 220–225, (2009). Børvik T., Forrestal M. J., Hopperstad O. S., Warren T. L. and Langseth M., “Perforation of AA5083-H116 aluminium plates with conical-nose steel projectiles – Calculations”, Int. J. Impact Eng., 36(3): 426–437, (2009). Gooch W., Burkins M. S. and Squillacioti R. J., “Ballistic testing of commercial aluminum alloys and alternative processing techniques to increase the availability of aluminum armor”, 23rd International Symposium on Ballistics, Tarragona, Spain, 981–988, (2007). Børvik T., Langseth M., Hopperstad O. S., and Malo K., “Perforation of 12mm thick steel plates by 20mm diameter projectiles with flat, hemispherical and conical noses”, Int. J. Impact Eng., 27(1): 19–35, (2002). Gupta N. K., Iqbal M. A., and Sekhon G. S., “Effect of projectile nose shape, impact velocity and target thickness on deformation behavior of aluminum plates”, Int. J. Solids Struct., 44(10): 3411–3439, (2007). 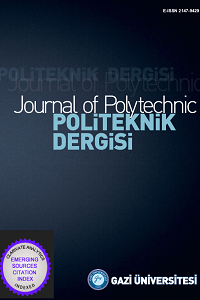 Iqbal M. A., Gupta G., Diwakar A., and Gupta N. K., “Effect of projectile nose shape on the ballistic resistance of ductile targets”, Eur. J. Mech. – A Solids, 29(4): 683–694, (2010). Yoshizawa H., Ohte S., Kashima Y., Chiba N., and Shida S., “Impact Strength of Steel Plates Struck by Projectiles : Effect of Mechanical Properties on Critical Fracture Energy”, Bull. JSME, 27(226): 639–644, (1984). Jones N. and Paik J. K., “Impact perforation of aluminium alloy plates”, Int. J. Impact Eng., 48: 46–53, (2012). Piekutowski A. J., Forrestal M. J., Poormon K. L., and Warren T. L., “Perforation of aluminum plates with ogive-nose steel rods at normal and oblique impacts”, Int. J. Impact Eng., 18(7–8): 877–887, (1996). Forrestal M. J., Luk V. K., and Brar N. S., “Perforation of aluminum armor plates with conical-nose projectiles”, Mech. Mater., 10(1–2): 97–105, (1990). Rosenberg Z. and Forrestal M. J., “Perforation of Aluminum Plates with Conical-Nosed Rods—Additional Data and Discussion”, J. Appl. Mech., 55(1): 236-244, (1988). Paik J. K. and Won S. H., “On deformation and perforation of ship structures under ballistic impacts”, Ships Offshore Struct., 2(3): 217–226, (2007). Dey S., Børvik T., Teng X., Wierzbicki T., and Hopperstad O. S., “On the ballistic resistance of double-layered steel plates: An experimental and numerical investigation”, Int. J. Solids Struct., 44(20): 6701–6723, (2007). Liu Z. S., Swaddiwudhipong S., and Islam M. J., “Perforation of steel and aluminum targets using a modified Johnson–Cook material model”, Nucl. Eng. Des., 250: 108–115, (2012). Backman M. E. and Goldsmith W., “The mechanics of penetration of projectiles into targets”, Int. J. Eng. Sci., 16(1): 1–99, (1978). Johnson W., Sengupta A. K., and Ghosh S. K., “High velocity oblique impact and ricochet mainly of long rod projectiles: An overview”, Int. J. Mech. Sci., 24(7): 425–436, (1982). Corbett G. G., Reid S. R., and Johnson W., “Impact loading of plates and shells by free-flying projectiles: A review”, Int. J. Impact Eng., 18(2): 141–230, (1996). Goldsmith W., “Non-ideal projectile impact on targets”, Int. J. Impact Eng., 22(2–3): 95–395, (1999). Iqbal M. A., Gupta G., and Gupta N. K., “3D numerical simulations of ductile targets subjected to oblique impact by sharp nosed projectiles”, Int. J. Solids Struct., 47(2): 224–237, (2010). Iqbal M. A., Chakrabarti A., Beniwal S., and Gupta N. K., “3D numerical simulations of sharp nosed projectile impact on ductile targets,” Int. J. Impact Eng., 37(2): 185–195, (2010). Zhou D. W. and Stronge W. J., “Ballistic limit for oblique impact of thin sandwich panels and spaced plates”, Int. J. Impact Eng., 35(11): 1339–1354, (2008). Børvik T., Forrestal M. J., and Warren T. L., “Perforation of 5083-H116 Aluminum Armor Plates with Ogive-Nose Rods and 7.62 mm APM2 Bullets”, Exp. Mech., 50(7): 969–978, (2010). US Army Research Laboratory, “Armor plate, aluminum alloy, weldability 5083, 5456, and 5059”, Military Specifications, MIL-DTL-46027 K (2007). Clausen A. H., Børvik T., Hopperstad O. S., and Benallal A., “Flow and fracture characteristics of aluminium alloy AA5083–H116 as function of strain rate, temperature and triaxiality”, Mater. Sci. Eng. A, 364(1–2): 260–272, (2004). Børvik T., Hopperstad O. S., Berstad T., and Langseth M., “Numerical simulation of plugging failure in ballistic penetration”, Int. J. Solids Struct., 38(34–35): 6241–6264, (2001). Børvik T., Hopperstad O. S., Berstad T., and Langseth M., “A computational model of viscoplasticity and ductile damage for impact and penetration”, Eur. J. Mech. – A Solids, 20(5): 685–712, (2001). Raguraman M., Deb A., and Gupta N. K., “CAE-based prediction of projectile residual velocity for impact on single and multi-layered metallic armour plates”, Latin American Journal of Solids and Structures, 6: 247–263, (2009). Rosenberg Z. and Dekel E., “Terminal Ballistics”, Springer, Berlin, Germany, (2014). Zukas J. A., “Impact dynamics”, Wiley, New York, USA, (1982). Almohandes A. A., Abdel-Kader M. S., and Eleiche A. M., “Experimental investigation of the ballistic resistance of steel-fiberglass reinforced polyester laminated plates”, Compos. Part B Eng., 27(5): 447–458, (1996). Flores-Johnson E. A., Saleh M., and Edwards L., “Ballistic performance of multi-layered metallic plates impacted by a 7.62-mm APM2 projectile”, Int. J. Impact Eng., 38(12): 1022–1032, (2011). Corran R. S. J., Shadbolt P. J., and Ruiz C., “Impact loading of plates – An experimental investigation”, Int. J. Impact Eng., 1(1): 3–22, (1983).